your link to “HELP! Want to Change” is down. Is the booklet still available? Thanks, Tim. The link has been corrected. And the book IS available even though Amazon can’t seem to keep it in stock! Hi Mr. Taugtes, Do you have an article on 2 Cor. 6:14 with regards to marriage w/believer and an unbeliever? No, but I have a sermon. I will email it to you. This is a message that should be taught in all churches. I just ordered your book and I can’t wait to read it! May God continue to bless you and your family. I believe when God commanded us to love one another he gave us the “one anothers” to love one another with. I believe II John verse 6 confirms this. What do you think? Yes, Mike. If we obey the one-another commands then we are surely loving the way God intended. God is so good to define love so specifically for us. I am a 25 year old, and believe I have BPD. I have suspected it for eight or so years. I want professional help with my uncontrollable emotions. I had a really terrible experience with a therapist in college. He treated me like my faith was the illness, and he even forgot my name a couple of times. I’ve felt terribly alone since this experience. However, God has been deepening my faith. He’s really helped me out with many unforeseen circumstances in my life. But I still struggle with my thought processes and maintaining healthy relationships with others. I’ve had so much “drama” in my life, and I’m getting tired of it. No matter how much I pray, read my Bible, or am open to my friends about my emotional difficulties, I still go through severe ups and downs. I was curious if you (or anybody seeing this) knows of a trusted Christian therapist in the DC area that is familiar with treating BPD patients. Thank you. Thanks for your comment and request. 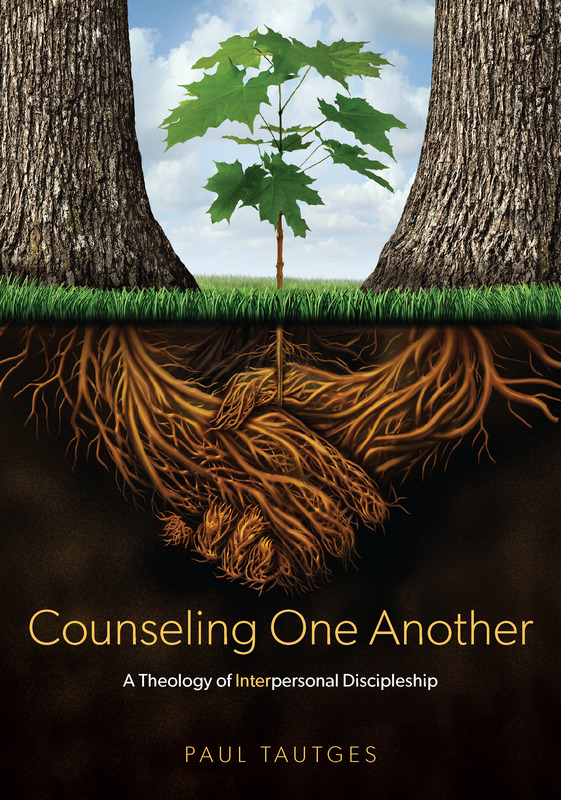 My first recommendation is to check out http://www.biblicalcounseling.com. They have a list of certified counselors who minister from a Christ-centered perspective. Blessings! I’ll pray for you to connect with someone to help. We have never met but I thought I could speak to you as a brother in Christ. WestBow press (Thomas Nelson) will publish a book of mine soon, would you do a review? If you decide to do a review, how much time will you need prior to publishing? The book is entitled THE JESUS YOU NEED TO KNOW. It is a character study of Christ, with an emphasis upon His motives, integrity, and purpose behind His person and life. This book is meant for every person that has heard the gospel and needs to know Jesus for salvation or as a disciple. Thank you for the opportunity to edit The Jesus You Need to Know. Your insight into Christ’s character, His relationship to the Trinity, and the depth of His love in becoming sin on the cross is compelling and well supported by scripture. I was especially moved by your discussion about God’s supreme restraint in choosing patience – and the power to be unleashed when that restraint is gone. Your readers will appreciate your style and tone; it is intelligent and “straight-shooting” yet inviting and reasonable. I hope your book find its way into the hands of many readers, believers and non believers alike. Congratulations on your new book! I would love to be able to say I could review it, but I cannot add anything more to my commitment list at this time. I am sorry. May the Lord bless your work for His glory! I’m looking for a counselor that can help my husband and me deal with the endless stress of having a child with special needs (he’s our youngest of 6). I saw you spoke on it once but it looked as if you were speaking to counselors. Can you recommend counselors or tell me how I can find them? “Counseling for parents of special needs children” is not a focus or speciality I’ve ever found. I’ve asked other parents of kids with special needs and they didn’t know. It seems to be a huge need. I’m at the point where I’m willing to travel. Hi Julie. Thanks for writing. Please email me at paul@counselingoneanother.com. You are welcome, Beth. We all need reminders, don’t we? Have read your article “worry Is Practical Atheism”, I have heard many sermons on that same theme repeating the same words but in slightly different order. I’ve often thought how uncaring and thoughtless that attitude is. How can it help someone who has a genuine mental condition or severe anxiety issues to tell them that ” oh, you are sinning”. It seems cruelly simplistic and , quite frankly, callous in the extreme. And unhelpful. Thanks, Dave, for your comments and question. Certainly there are some medical conditions that can contribute to anxiety. However, the point of this post is to be faithful to what Jesus teaches concerning what is going on in our hearts when we worry. Medical conditions, notwithstanding, there is always something going on in our hearts, in relation to God, when we struggle with anxiety. The point Jesus is making is that the spiritual root of worry is an element of unbelief. Any remedy to worry/anxiety that does not include spiritual counsel is inadequate. Hope that helps. Hey Paul, Great resources! Thanks for serving the church. I pastor a small church in Ga and we recently had a teen suicide. I’m gathering resources to help them process and discovered your SLAP DIRT assessment. I’m making a little booklet for the teens to have. May I have permission to reprint? 1) I am not charging. 2) I will identify you as the author and cite the resource. 3) I will not adapt in anyway. Thanks, Philip. The author is actually Bruce Ray, who wrote HELP! My Friend Is Suicidal. So, please mention this blog site for the article, but also mention his book.